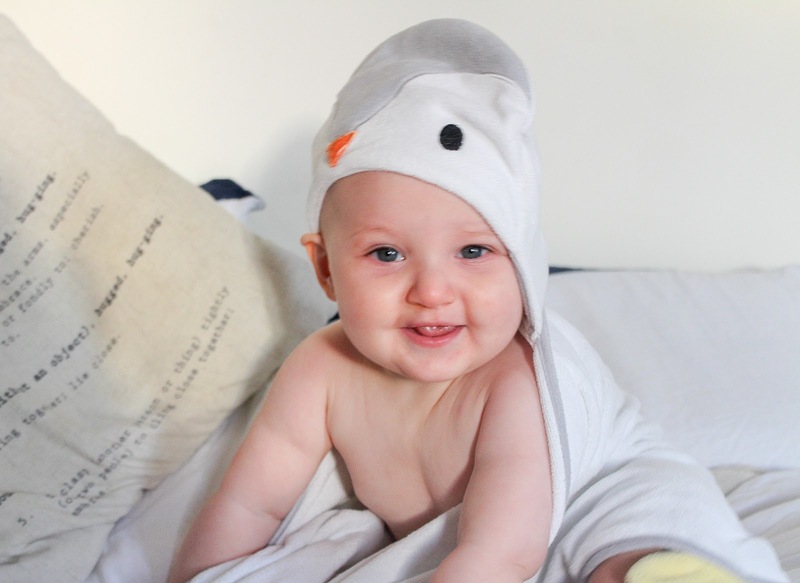 I had heard such good things about the Shnuggle Bath but as we had a built in one in our changing table we held off while I recovered from a caesarean. I eventually ordered one thinking it would be better and safer to bath Joshua in rather than use our main bath but it just wasn't for us. Joshua was happier in it without water and it seemed whenever we tried to a bathe him in it, he'd be uncomfortable and just moan until we took him out again. Whether that was because he's a boy so had a little bit more going on down there, I don't know. We also found bath time became a lot wetter using this so back in the big tub he went. Baby Bouncers were like our Everest, we didn't know what to buy or at what price. I was shocked at how expensive some were and I really didn't want to throw our money at anything. We tried vibrating ones, rocking ones, ones that did their own thing and still nothing settled Joshua so in the end we went with a cheap one from Chad Valley. Turns out Joshua just really hated them and my idea of watching my baby sleep in his bouncer were a distant memory. I think he fell asleep in the bouncer once, he just hated being in it and wailed the minute we tried to strap him in. It ended up being another surface to store biscuits. We bought this second hand but it was brand new, it was the one I always wanted but the price put us off so this ended up being a pointless bargain. Baby wearing just was not for us or actually not for Joshua. He would scream like we were trying to hurt him when we attempted using it and so it eventually ended up collecting dust. I was really sad about this one, I wanted to go for long walks with my baby strapped to me or Arran but it wasn't meant to be. The very few times we did both try, we found it extremely bulky and uncomfortable. I think if we were to try one again we would look at slings instead. In not too many words, Sophie the famed teething toy was crap. I had this on my baby wish-list from the beginning as I'd heard so many things about it but it did not wow me or Joshua. It's big, clunky and awkward, maybe it's better for older babies but Joshua was teething from two months so it just wasn't helpful. If you're looking for teething toys Matchstick Monkey is by far the best available now and I bought back ups of it as well as different variations. Joshua loved it so much! I think the Poodle Pod is like a cheaper Sleepyhead, correct me if I'm wrong of course. We were gifted our Sleepyhead Deluxe Pod but also had the Poodle Pod as we thought it would be better for day times to use on the sofa (remember when I said we were trying to not buy everything? LOL). It wasn't and it didn't get much use at all. With the Poodle Pod it seemed Joshua was always balancing on top of it whereas the Sleepyhead cuddles you. It was handy for tummy time but then so is the floor so we didn't honestly use it for that much either. I thought it was too firm, there was no secure feeling and he didn't look comfortable on it. I honestly think the Sleepyhead is worth every penny so I wouldn't bother with anything else if you can afford it. As I said, these were are most disappointing baby buys because they didn't work for us but it's always worth knowing varied opinions when it comes to spending out on baby products. I'd love to know if you have any disappointing baby buys. I didn't ever use a changing table - I just loved the foam and plastic ones you get for a couple quid. I used mine constantly!